Hey everyone! We are totally stoked to announce a Blog tour we're doing for Lisa Burstein's DEAR CASSIE, another amazing contemporary story from this Entangled Teen author! 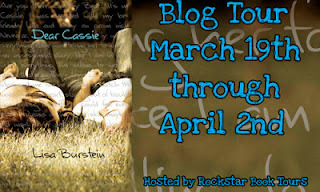 This tour is a REVIEW ONLY tour dates are March 19th through April 2nd and will have two stops a day.This tour will run Mondays- Fridays only no weekend posts. There will be a giveaway of one print copy of DEAR CASSIE and one eBook of DEAR CASSIE courtesy of Entangled Teen on a rafflecopter form throughout all of the stops.Please don't sign up for this tour just to get a free copy of the book. Reviews will be expected to be posted on their appropriate days. If you do not like the book or plan to post a 3 star review or below please contact us and we will drop you from the tour. (You can and please do post your reviews after the tour though). If you sign up and do not post your review (unless we have been contacted) we will make a note and you may not be asked to participate in future tours. 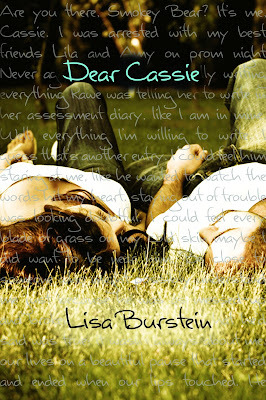 DEAR CASSIE is Lisa Burstein's second book she has also written Pretty Amy if you'd like to check that one out , CLICK HERE.